Chris grew up in Florida in the Keys, specifically Key Biscayne with his mother and father, his older sister and two younger brothers. He was a very adventurous child and very curious about how everything worked and loved science class at school. During his school years he gained an infection in lungs that drugs and immune system could not stop. There was no explanation for it and no other case ever reported, he quickly recovered after receiving a lung transplant and went on to have a normal and perfect childhood. During his teenage years he was able to take engineering classes and was fascinated by Star Fleet as a military organization. He watched promos, listened at seminars and decided early on that he would join Star Fleet and so the training began. He began to be heavily influenced by anything even remotely connected to the military and became very respectful of others using sir and ma’am all the time. Eventually the end of school came and he had o make a choice, he could be an engineer in the marines, but not the kind of engineer he wanted to be, he chose Star Fleet in the end and so began his training at Star Fleet academy. He was extremely fast in picking everything up and became a model student all round and a very popular guy with other students. Able to separate his school and personal life he was able to integrate both without sacrificing the other. It was here he would meet his future wife, Leanne Brooks. They grew closer together through the academy both helping each other through their final exams. Upon graduating they were both positioned aboard Starbase Alpha in the engineering department and worked closely to keep the station functioning. Eventually Leanne became pregnant and they were both overjoyed and decided the time was right to get married. Eventually after being married and the birth of their daughter Hannah they decided to move to Earth for a nicer environment for her and move near the Eaglestone family home in Florida. The years seemed to fly by as they enjoyed happy family life and work life but eventually the old tale of stories never having happy endings proved true. 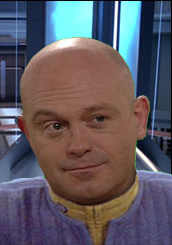 One night whilst Chris was working the late shift at Star Fleet their house was burgled with both Leanne and Hannah there, Leanne ran to her daughters room but the burglar though she was running for help he moved through the door and shot her with a phaser in front of the now terrified girl. Not willing to kill a child especially a young girl of eight. Chris was not aware of what happened until he returned home to find the front door malfunctioning open and shutting sporadically, He pushed through and found the house ransacked and immediately ran to the first bedroom along which happened to be his, with his wife not present he moved on the next and found Hannah, just staring at her mothers body, she hadn’t moved since it had happened two or three hours ago. Chris immediately reached out and grabbed her carrying her out of the house to a nearby friends and called local security forces. They scoured the area but found nothing vital as of yet. Life was hard for Chris and Hannah for a couple of years, he was put on Extended Leave of absence for three years as helped his emotionless daughter come to terms with what had happened. A form of posttraumatic stress stopped her from grieving the death of her mother and at times she even forgot her. But after three years she walked home from school one day, walked into her father’s arms and cried for over an hour. Finally being able to show her emotions she blamed herself for her mothers death repeating over and over she could have done something. Her father tried to tell her that this wasn’t true and if she did she may have even died like her mother. With his daughter now able to grieve and think about the future she didn’t want to be on Earth anymore and wanted to stay on a star ship. Her father agreed, not really wanting to leave the family home but doing it for his daughter they left for the Indestructible, then the and then finally the U.S.S. Gettysburg. By that time he was a lieutenant and was working under the command of Blair until Bohr replaced him. Not a fan of Bohr he continued his work to high standards regardless and became amicable colleagues with him but not really friends in the sense of the word. But unknown to him Isaac had rated his work so highly he had been recommended for a CEO position as soon as one became available. This page was last modified on 16 July 2013, at 05:04.